Xiaomi is all set to add a new smartphone to its lineup on April 24. 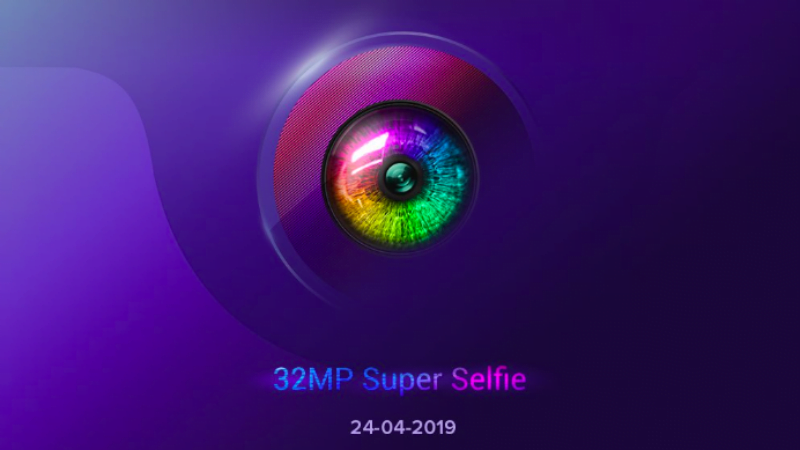 As of now, the company did not reveal which smartphone it’s going to launch on the said date, but it did confirm the phone will have a 32MP Super Selfie camera. Xiaomi has a different lineup for selfie centric phones which is the Redmi Y series and the upcoming phone could well be the Redmi Y3 coming as a successor to last year’s Redmi Y2. Xiaomi might launch the Redmi Y3 as Redmi S3 in China, considering that the previous Redmi Y phones were Redmi S devices in its homeland. The teaser image posted by Xiaomi also reveals the Redmi Y3 will have a Dot Notch on the front like the company’s recent phones Redmi Note 7 and Note 7 Pro. Xiaomi Redmi Y3: What to Expect? The Redmi Y1 was an instant hit for the company as it offered a decent selfie camera under Rs 10,000. Also, the Redmi Y1 arrived at a time when brands like Vivo and Oppo were charging more than double for the same selfie camera setup. The Redmi Y2 also offered a great selfie camera along with strong dual rear cameras, but the Rs 1,000 price hike did not impress many. And now, the Redmi Y3 is coming and expectations are high on the handset as Xiaomi blew everyone with the Redmi Note 7 series of phones. As Xiaomi confirmed, the Redmi Y3 will have a 32MP selfie camera and it could be priced below Rs 10,000- or maybe the Redmi Y2’s price of Rs 9,999. We don’t have any other details regarding the Redmi Y3 as of now, but the phone is expected to sport a bigger battery as Xiaomi is teasing the same on its social media handles. This would be a great change as the Redmi Y series featured smaller batteries compared to other Xiaomi phones. The phone is expected to come with the Snapdragon 632 SoC, Full HD+ display and MIUI 10 based on Android 9 Pie. Complete specifications of the smartphone will be available on the launch date. Xiaomi launched the Redmi Note 7 and Note 7 Pro smartphones back on February 28 to much fanfare. The Redmi Note 7 went on for sale in the first week of March while the Note 7 Pro was made available for purchase during the second week of March. In just one month of launch, the Redmi Note 7 series sales have crossed one million which is an incredible achievement. Last year, it took Xiaomi 45 days to achieve one million sales of Redmi Note 5 devices and nearly four months for five million sales, but years, it’s going to achieve the same numbers even faster. The Redmi Note 7 Pro is the only phone under Rs 15,000 to offer a 48MP selfie camera and Snapdragon 675 Mobile Platform.